But property maintenance must go on, while customers shop, residents sleep and businesses operate. “We’re a seven-day-a-week center and there are people all over the place, all the time,” says Krista Hermes, assistant operations manager at Crocker Park. Crocker Park needed a landscape and snow removal contractor that could truly understand the diverse customer mix and create a plan to address the property’s maintenance requirements, while managing the challenges of significant construction on the land. Schill Grounds Management stands up to the challenge. In other words, there weren’t variables like cranes, new parking garages, construction trailers and uprooted traffic patterns. There was plenty of parking and room to push snow off the lots. The construction of American Greetings new headquarters and the next phase of Crocker Park retail, business and residential buildings altered the picture completely for Schill. Actually, these changes happened over time and snowballed into a real shift in the way snow and ice removal had to be managed last winter, Hermes says. “We have noise ordinances, we have tenants on site, we have to be considerate of who is on the property and we have metered parking, traffic flow—everything makes their job very difficult to perform,” she says. As for snow, previous years’ strategies needed to be scrapped once parking on the property became limited due to construction. “We used to move all of the snow to the south end of the property, and now we have to move it to the north end and have it hauled away,” Hermes says. 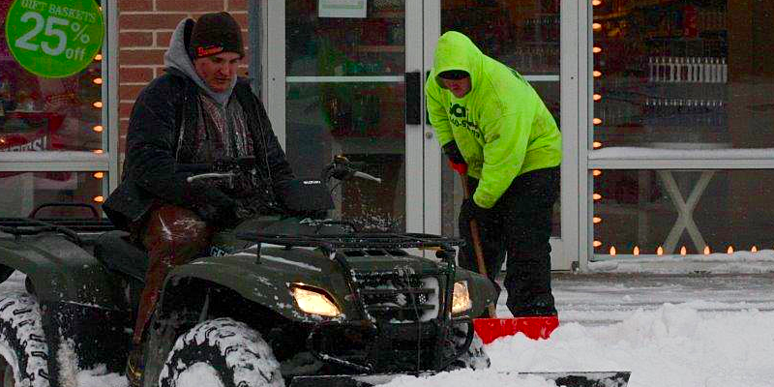 Schill designed a snow removal plan that addresses the property’s people and parking. Sidewalk crews push snow off walkways to keep areas safe for pedestrians, and snowplow crews clear parking lots. 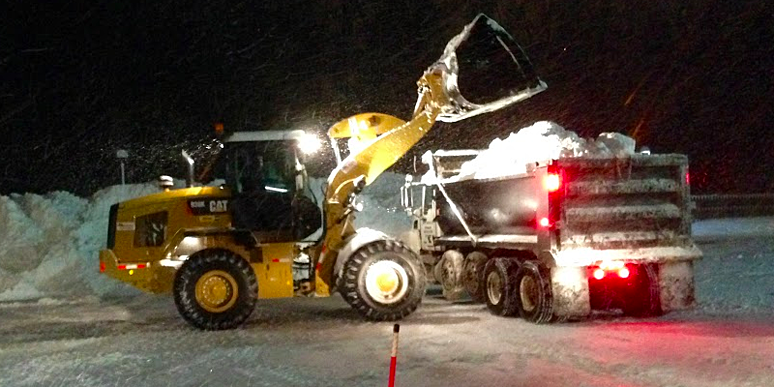 Snow piles are hauled away in dump trucks the morning following an event (to avoid noise while residents are sleeping). Crews also remove snow from the rooftops. 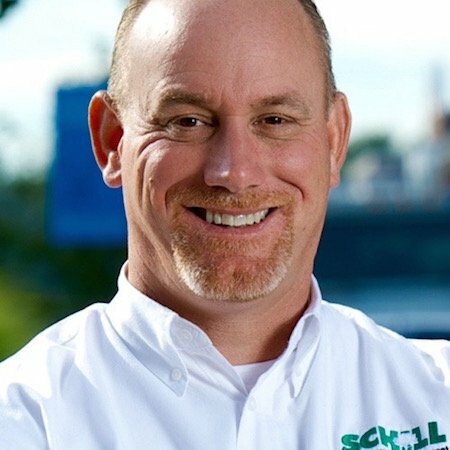 Many of Schill’s trucks are equipped with strobe lights instead of backup alarms that could bother sleeping residents. And rather than using snow blowers on walkways, crews manually push snow. “Schill helped us locate and secure an area to haul the snow to that is close by, and that has really helped out a lot,” Hermes says of maintaining ample parking for Crocker Park patrons and residents in spite of severe weather and ongoing development. Managing maintenance in a “city that never sleeps” is a timing battle. How do you push snow without waking residents but ensure roads and walkways are clear in time for businesses to open at 7 a.m.? How do you maintain the landscape without interfering with people’s enjoyment of the property at any time of the year? The answer: with great care, consideration and constant communication. In addition, commercial snow removal employees are dressed in bright clothing when clearing snow so they can be identified and for safety purposes. And the team takes pride in their contributions to Crocker Park. “Every single one of their employees is respectful,” Hermes says. “They are the eyes and ears on the property—you can tell that they really care,” Hermes says of the weekly reviews that Dickey or Jerry Schill, president, conduct on the Crocker Park property. They’ll note any potential issues and also anticipate issues and changes on the ever-developing site, which is critical to successfully maintaining the property, Hermes adds. “They ask forward-thinking questions and they’re planning a year in advance, and I think that’s key to any contract management,” she says. 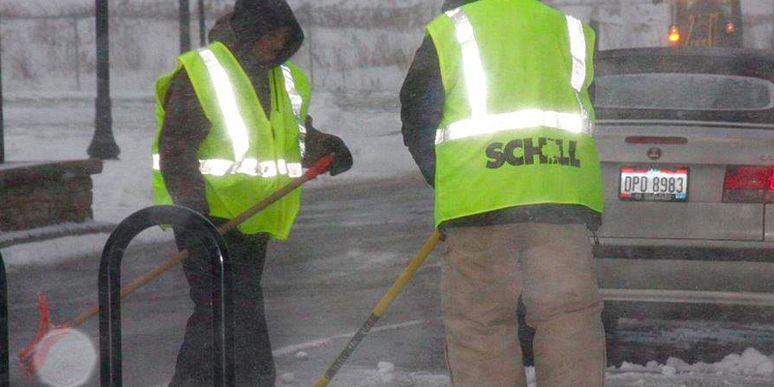 Hermes is the single point of contact for Schill Grounds Management, and there is always a Schill team on site, especially during snow events. “We are constantly working on the property,” Dickey says. That’s what it takes to keep a vibrant, 24/7 live-work-play setting safe and accessible. 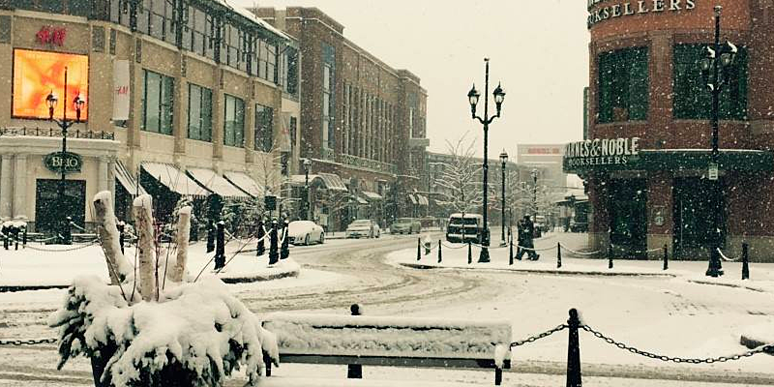 Because of advanced planning, constant communication, and a tailored approach to commercial snow removal, the diverse clientele at Crocker Park can continue on with business and life as usual no matter the weather.